Home religious Happy feast day Padre Pio! Happy feast day Padre Pio! 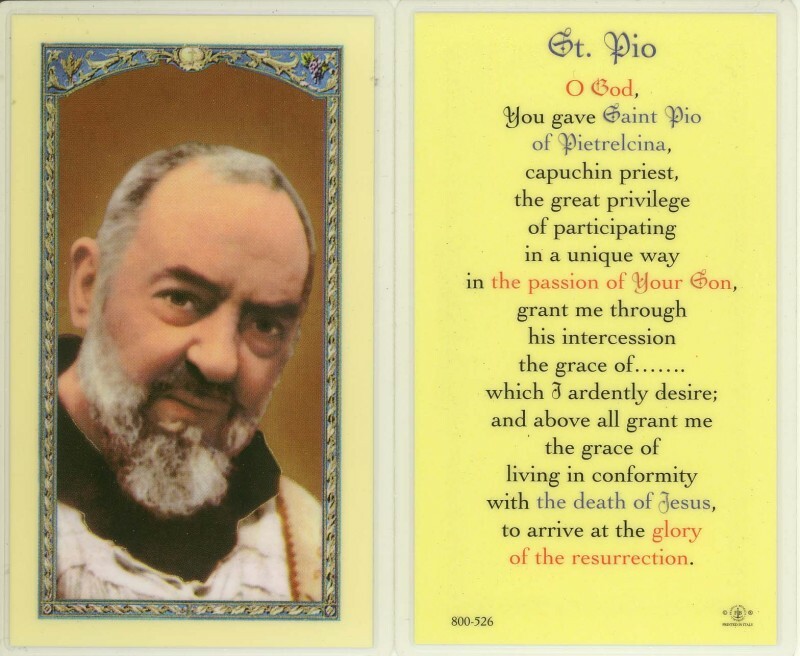 O God, You gave Saint Pio of Pietrelcina, Capuchin priest, the great privilege of participating in a unique way in the passion of Your Son, grant me through his intercession the grace of.... which I ardently desire; and above all grant me the grace of living in conformity with the death of Jesus, to arrive at the glory of the resurrection.